Below is information regarding building permit procedures. For additional information contact the Village Hall at 946-2261. To request a building inspection for an active permit call Safebuilt Inspections at 1-815-255-9047. Types of work which require a building permit include: any plumbing or electrical modification, any type of remodeling that modifies the internal layout or exterior appearance of the structure, and any new structures. Some examples of improvements requiring a permit include driveway extensions, garden sheds, garages, swimming pools, decks, fences, re-roofing, generator installations, etc. How do I complete a building permit application for a new home? An application packet for a new home may be obtained at the Village Hall. The application must be fully completed and submitted along with two blueprints of the proposed structure certified by a licensed architect. Blueprints for new construction must include a floor plan and prints for mechanical, electrical, plumbing, foundation, footing, stud wall, and a site plan showing the location of the structure on the lot and the exact distance of the structure to adjacent property lines. A list of contractors working on the job site must also be submitted. All plumbers and roofers must be licensed by the State of Illinois and provide their license number to the Village. All contractors are also required to obtain a contractor’s license from the Village before beginning any work. Contractor’s must complete a separate application and provide a certificate of liability insurance to the Village Hall. The fee is $150.00 for a General Contractor’s License and $100.00 for a Sub-Contractor’s License. The License is good for one year and is renewable on May 1st of each year. How long will it take for a building permit to be issued? When the building permit application is completed, it should be returned in person to the Village Hall. Village staff will check the application at that time to ensure that it is complete. Building permits will not be issued if the application contains incomplete information or lists subcontractors that are not licensed by the Village. The Village’s Inspectional Service will review the application and issue a permit with an appropriate fee within seven business days. The inspector will also review the blueprints and provide written comments on the print to be returned to the applicant. The applicant will then be contacted by phone and advised of the fee that has been established for the permit and when it can be picked up. The applicant must pay the fee when the permit is issued. Sometimes, the inspector requires a change on the prints. If there are any questions regarding changes made to prints or the original permit application, they should be referred directly to the inspector. What types of building codes must I follow? All building permit approvals and subsequent inspections shall be in conformance with the 2015 International Residence Code, the 2015 International Building Code, the 2015 International Fire Code, the 2014 National Electrical Code, and the 2014 State of Illinois Plumbing Code with some local amendments by Village Ordinance. Water meters are supplied by the Village during construction and must be installed prior to final inspection. The Village must be contacted to seal the meter and install the outside reader prior to issuance of the Certificate of Occupancy. A construction dumpster and port-a-john must be on site prior to framing of structure and be picked up whenever full. The dumpster and port-a-john must remain on site until just prior to final inspection. The street must be kept clean at all times. One warning will be permitted. 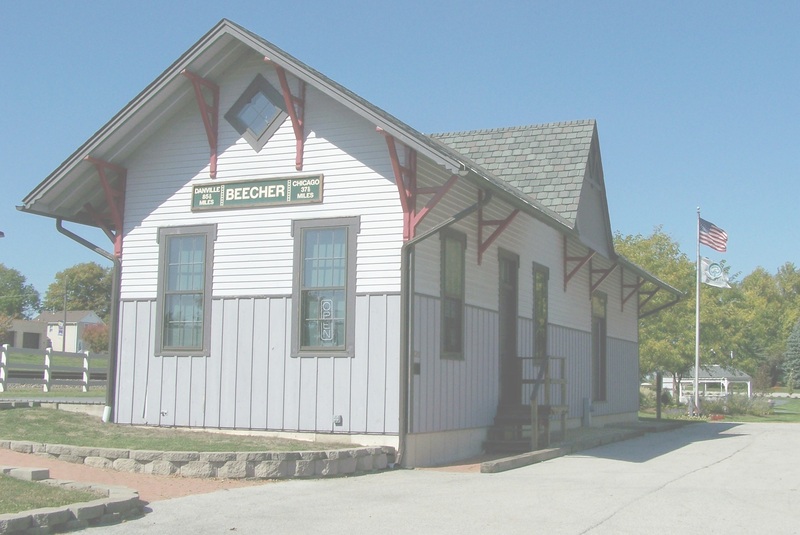 The second notification is conducted by the Beecher Police Department and a fine may be issued to the owner of the property or general contractor. B-boxes must be staked with a 4×4 post at all times and set to grade and straightened prior to final inspection. If B-box is not straight or below grade, a temporary C.O. can be issued for the structure as long as $100.00 in escrow is provided. Escrow can be returned within 6 months if B-box is properly adjusted. Any cracks in public sidewalks caused by construction equipment shall be repaired by the contractor prior to issuance of C.O. The Village does not assume responsibility for any restoration work on a concrete driveway ramp in the Village right-of-way. Any repairs to underground utilities in the parkway will be completed with black dirt and seed or with asphalt if the repair occurred under a driveway. Residents having concrete driveways must arrange for their own restorations if concrete replacement is desired. If there are any questions or concerns regarding these amendments, please contact the appropriate inspector or the Village Hall. What type of inspections are required and how do I arrange for them to be made? All requests for inspections should be made directly to Safebuilt Inspections at 1-815-255-9047 between the hours of 7 a.m. and 5 p.m. Monday through Friday. Any modifications made to blueprints must be approved and filed with the Village. Failure of applicant and/or contractor to submit blueprint changes shall be subject to a minimum fine of $100.00 and maximum fine not to exceed $500.00. Following is a list of inspections which are necessary depending on the job. Inspectors have up to 48 hours from the time notification is made to complete an inspection before work can continue on the job. Please contact Safebuilt Inspections directly for: questions pertaining to the Village’s Building Code; if an inspection was not approved; or if the job was red-tagged. All requests for inspections or questions about inspections must be made directly to Safebuilt Inspections at 1-815–255-9047. When does my project get approved by the village? When the project is complete, the applicant must call Safebuilt Inspections and request a final inspection. The inspector will review the work, and if it is approved, a certificate of occupancy will be signed and issued. The certificate of occupancy can then be obtained at the Village Hall for your personal records. Any new home or building addition will not be permitted to be occupied until a certificate of occupancy is approved. Violations of this ordinance can result in evictions, water service disconnection, and possible fines of up to $500.00 per day.